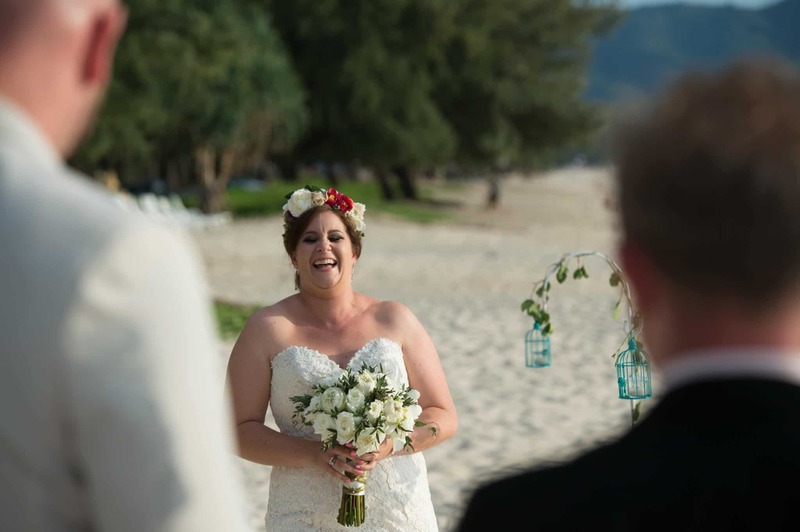 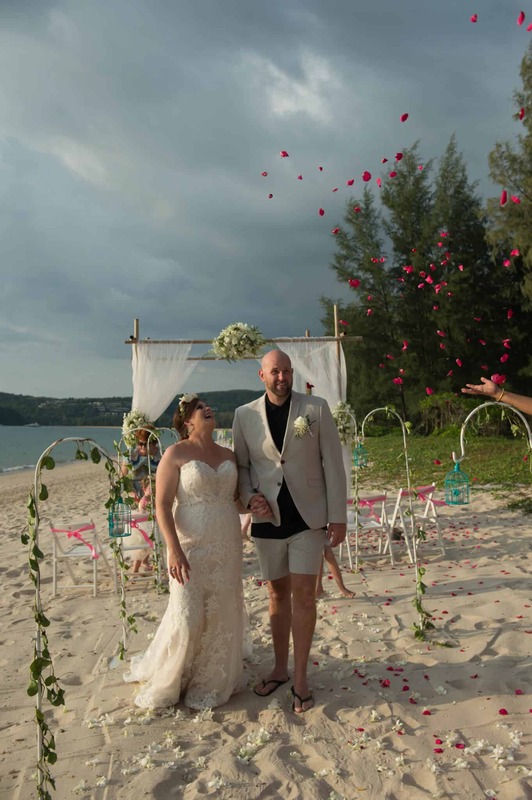 It was a beautiful day for Sara & Brendan’s Phuket Beach Wedding Vow Renewal on Layan Beach with just close family and friends. It had been 10 years since their marriage in New Zealand and honeymoon in Singapore. 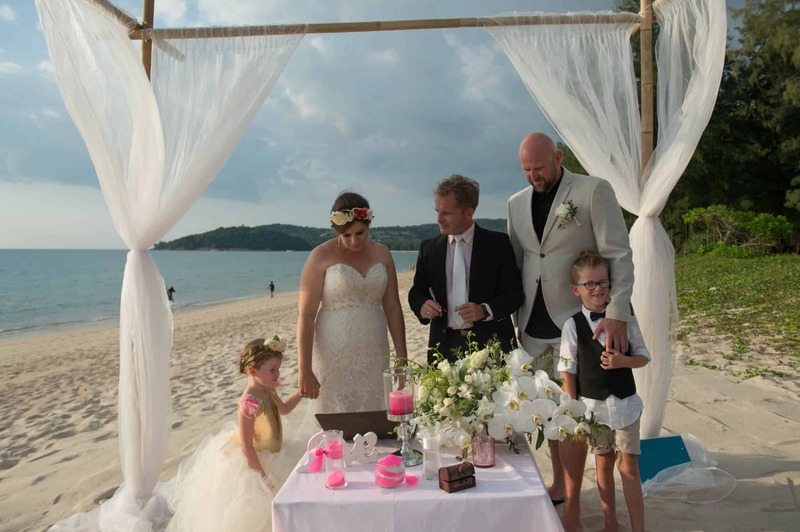 This time it was a Wedding Vow Renewal in Phuket first and then to Singapore with their children Ryder and Harper- Rose, before flying home. 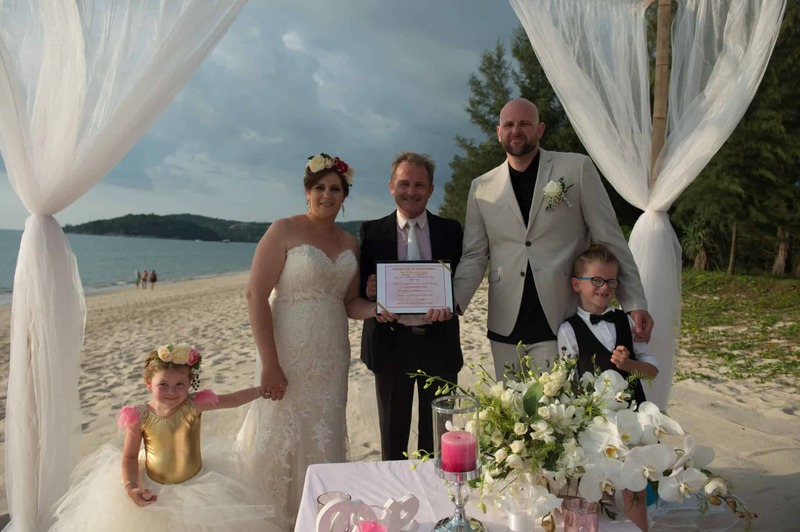 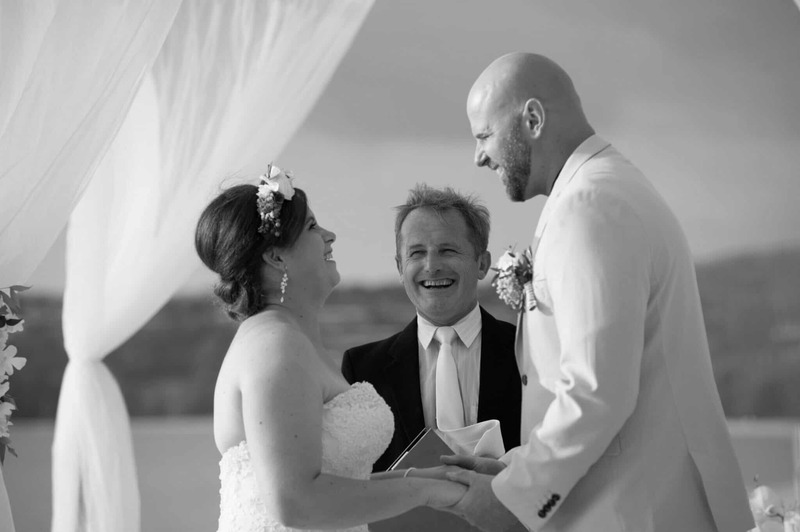 Ryder & Harper-Rose we also the ring bearer and flower girl and were fully involved in this Wedding Vow Renewal Ceremony – this was documented forever as they both signed their parents Wedding Vow Renewal Certificate as witnesses at the beach. 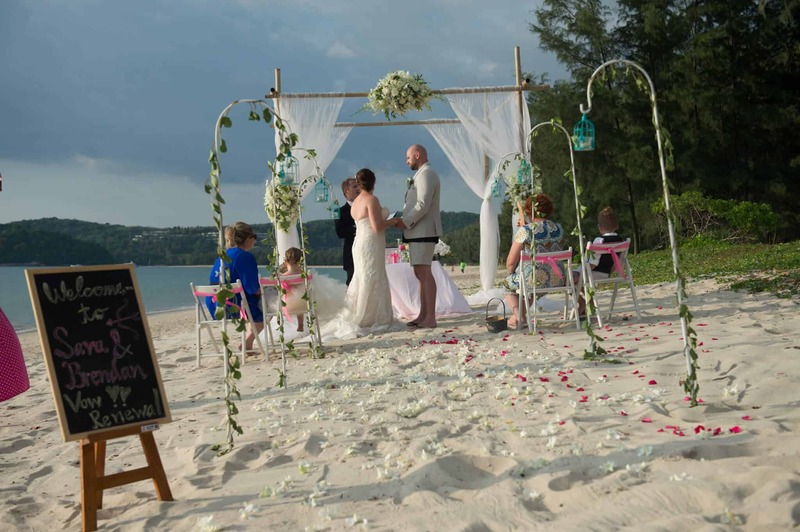 Prior to the Beach Vow Renewal Wedding Ceremony, in memory of the passing of Sara’s Father the year previous that had made this whole trip possible; Unique Phuket Wedding planners had arranged a simple Monks Blessing for the family so their respects and prayers could be made. 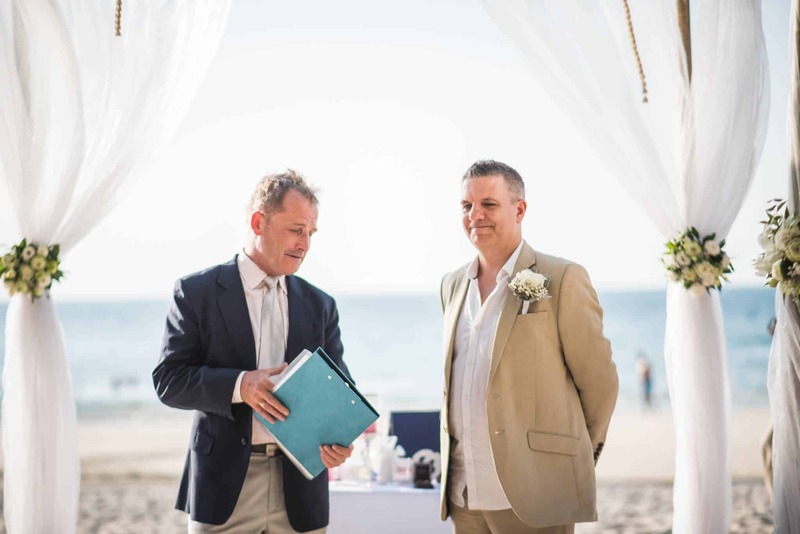 This just added to a wonderful day for all involved. 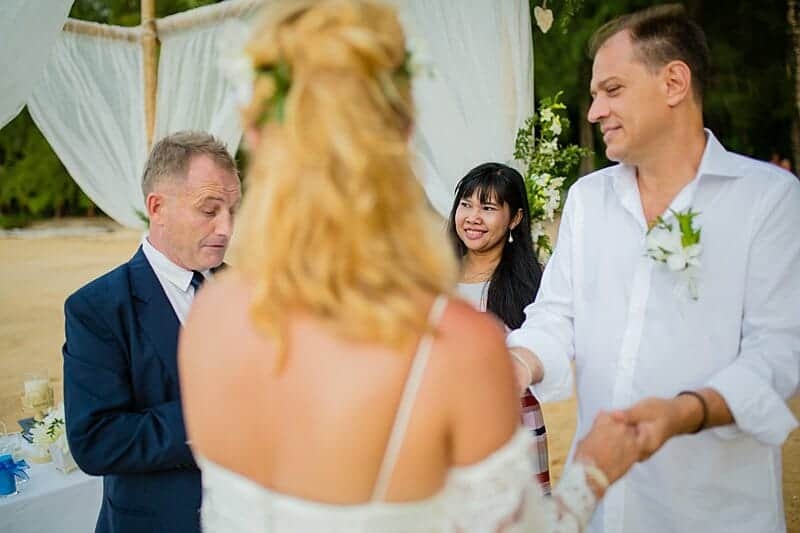 It was a privilege to be asked to officiate in this family’s Wedding Vow Renewal as their Wedding Celebrant and I do hope to see this wonderful family again in another 10 years! 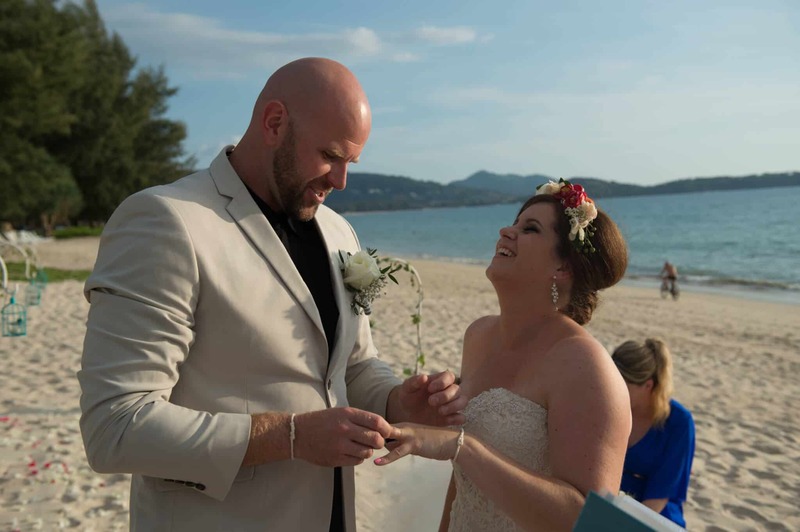 If you are looking for a Marriage Celebrant or Master Of Ceremonies in Phuket or in Asia please contact me here or make a booking inquiry here.